We’ve chosen iNaturalist.org to host our footprint image upload engine because of it’s excellent infrastructure, and seamless integration of upload, data management and mapping. Your contributions are mapped and you can track their progress, and that of others in our project. Photographing footprint in the field. 1. Capture your footprint images using our special protocol (see ‘How to capture footprint images, or click on the button under Connect with Us on every page). 2. When your images are ready to upload, click here or the ‘upload images’ button. 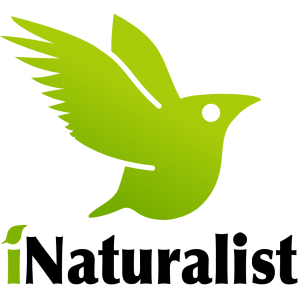 A new window will open at ConservationFIT at iNaturalist. Click on ‘join the project’ the first time you visit. Once you’ve joined the project you’re set to start. 3. Check out the project description and overview – there’s a customized form to insert the data we need to accompany your images. 4. Collect your footprint images into groups, where the groups are trails collected on the same date at the same location. For example, if you’re collecting jaguar images at a sanctuary, keep all the images for one jaguar taken on the same day together, you’ll upload those together. Images for the same animal taken on the same day stay together. 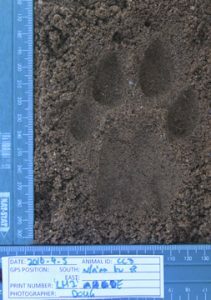 Each animal will have his/her footprints uploaded in a separate batch. 5. Click on the red banner ‘Add Observations’. When you are ready to add your images, click on ‘choose files’. Please make sure that each image size is less than 1Mb to ensure easy upload. 6. We will download your images and analyze them using FIT for species conservation.